In September Alex Hannant, CEO of New Zealand social enterprise incubator Ākina Foundation, will be visiting Brisbane. QSEC invites you to lunch at Fishburners, where Alex will discuss his and Ākina’s path to growing capabilities and impact across industries and social divisions, as will as offering some fresh insights into the trajectory of social innovation at home and abroad. Lunch and refreshments from a social enterprise caterer are included with your ticket. If you have a meal requirement, please let us know by submitting a request here after booking your seat on Eventbrite. 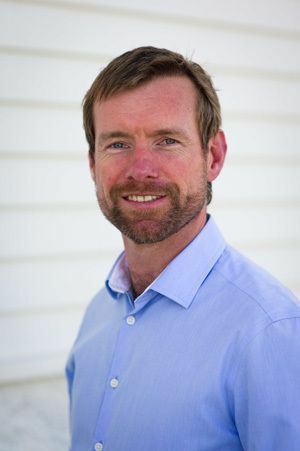 In his role at Ākina, Alex aims to accelerate transition to a sustainable, prosperous, and inclusive New Zealand through the development of talent, partnerships, and social enterprise. Previously based in the UK, Alex was Director of Programmes at LEAD – a global network focused on leadership and sustainable development. He was also Head of Partnerships, and a member of the senior management team, at the Climate and Development Knowledge Network (CDKN) – a global initiative providing technical advice and services on climate change and development to decision makers in developing countries. Alex’s work has evolved to focus on the design and delivery of strategies and initiatives that facilitate cross-sector engagement, enterprise, and social innovation. He is an experienced manager and has worked in Africa, Asia and Europe. Alex serves on the Boards of B Lab Australia and New Zealandand Pomegranate Kitchen, and also co-teaches a course on ‘Leading Social Enterprise’ at Victoria University of Wellington. Listen to Alex’s TedxTeAro speech from December 2012 about why social enterprise is a good idea.